Ever since the advent of the smartphone, website designers have been playing catch up, with many failing. 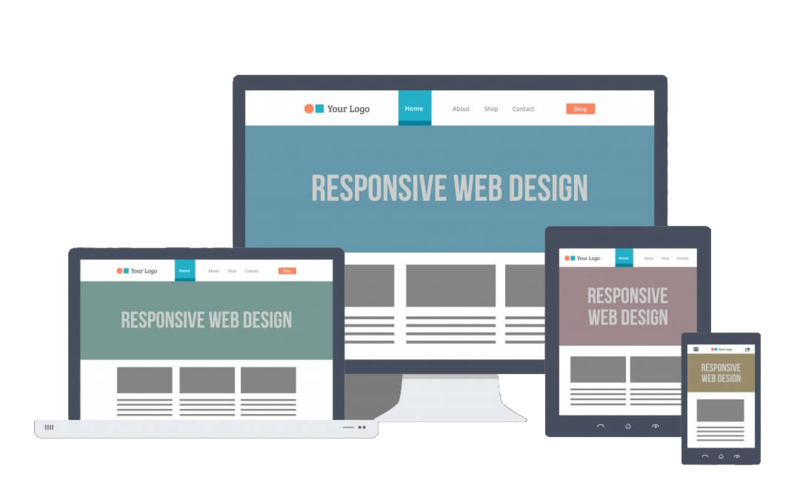 Modern website design dictates that we first consider the smallest screen that will be used to view your website, the smartphone. This is called responsive web design. Here at KL Digital Productions, we ensure that all the information, you the customer, want your website visitor to experience, they get. As your website visitor’s screen size changes, your website will automatically change the way the content is presented, always giving your website visitor the best possible experience. We use Bootstrap or Wordpress to create your website. When your website has little need for the content to change, Bootstrap is our primary choice. For our customers that may need more changes like, blogs, news sites, or online shops, we use Wordpress as the back-end. Both are state of the art web design tools. While most of the advantages to using Bootstrap are transparent to the viewer, there are some that stand out. Millions of websites use Bootstrap, so your website will give your visitors a familiar browsing experience. The layout and typography you get with Bootstrap is modern, clean, and attractive. Your visitors will intuitively be familiar with the layout, feel, and functionality of your website. Wordpress is a Content Management System, or CMS. As your company grows, so does your online presence. Wordpress can easily handle the growth, allowing multiple users to add and change content. If you want to have a online shop, a blogging page, or a news site, Wordpress is for you. Our experts in Wordpress will train you and your staff how to add and change content so your website can be up to date when minutes count. We will work with our customer through our multiple step design process. We will consult with you, ensuring we understand your business and your idea of your online presence. While your website's customized design is being built, you will have complete access. This unique approach ensures that the web designer is staying with-in the parameters set at the initial consultation, and your online presence meets your expectations.